MEDICA is the world’s largest event for the medical sector. For more than 40 years it has been firmly established on every expert’s calendar. There are many reasons why MEDICA is so unique. Firstly, the event is the largest medical trade fair in the world – it attracted more than 5,100 exhibitors from 70 countries in 17 halls. Furthermore, each year, leading individuals from the fields of business, research, and politics grace this top-class event with their presence — naturally alongside tens of thousands of national and international experts and decision-makers from the sector. 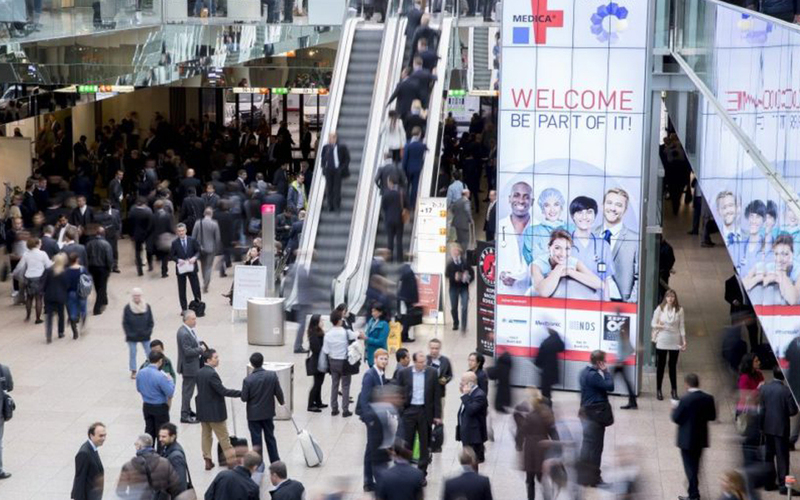 An extensive exhibition and an ambitious program — which together present the entire spectrum of innovations for outpatient and clinical care — await you in Düsseldorf. Visit our Burnshield stand at Hall 5 G22. Where we will be displaying the latest in premium professional burn-care technology. Learn the best methods for burn treatment and discuss business opportunities. Monday – Thursday: 10:00 a.m. – 06:00 p.m.